How do you successfully launch and communicate a flagship initiative for Europe’s largest regeneration project? The Brief: Battersea Power Station (BPS) is Europe’s largest and most iconic mixed-use development project, with a vision to be the “greatest neighbourhood in the world”. There are 17,000 long-term job opportunities promised by 2025 and to succeed it needs the greatest people, with a commitment to delivering exceptional service excellence. Rather than outsource this training, BASE (Battersea Academy of Skills Excellence) was created to meet this need ensuring local people can maximise their talent and learn agile, future-proof skills, and tenant employers could access a work-ready and relevant, pool of talent. 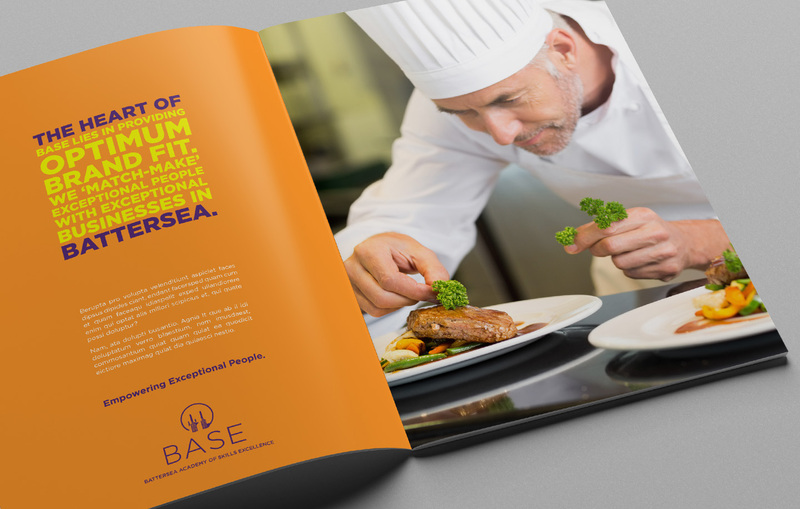 BASE needed a brand proposition and message architecture that balanced the heritage of its location with a clear market message to its multiple audiences. In its aim to become self-funding, BASE needed clear messaging to reach and engage a complex audience mix of local community, local and national policy makers, and private sector. The Solution: To distil the complex messaging, we immersed ourselves in BASE and the wider Battersea Power Station development programme through consultative workshops, interviews and research with influencers and employers. 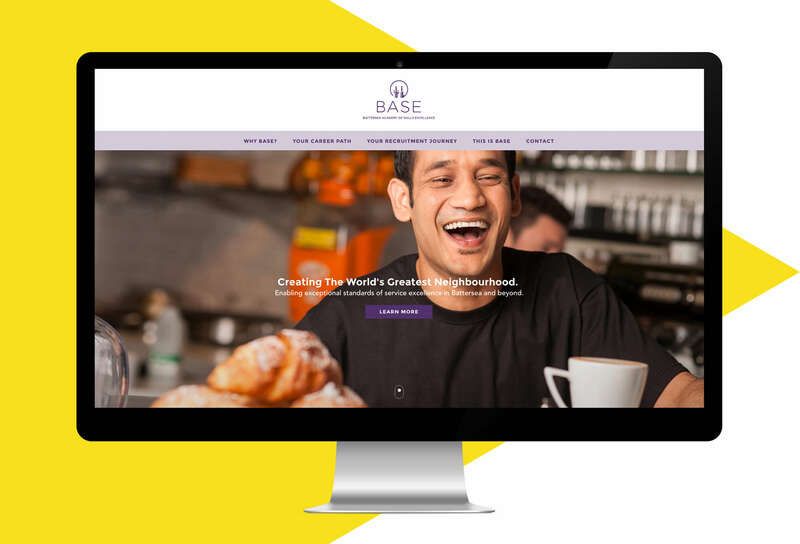 Having established the vision, mission, values and proposition, based on our 360-degree insights, we then developed an identity and visual language for BASE. 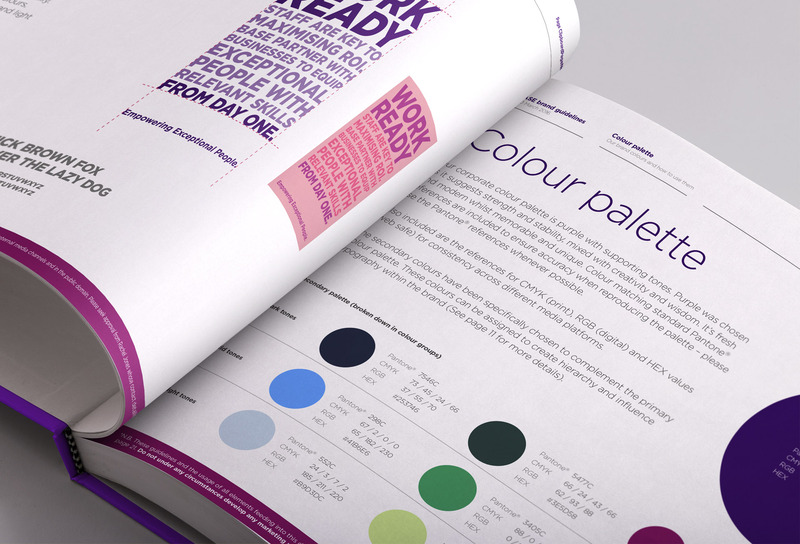 We created brand guidelines to maintain consistency with the Why BASE message hierarchy (for 3 core audiences), tone of voice, visual language, collateral templates and sales presentation tools . 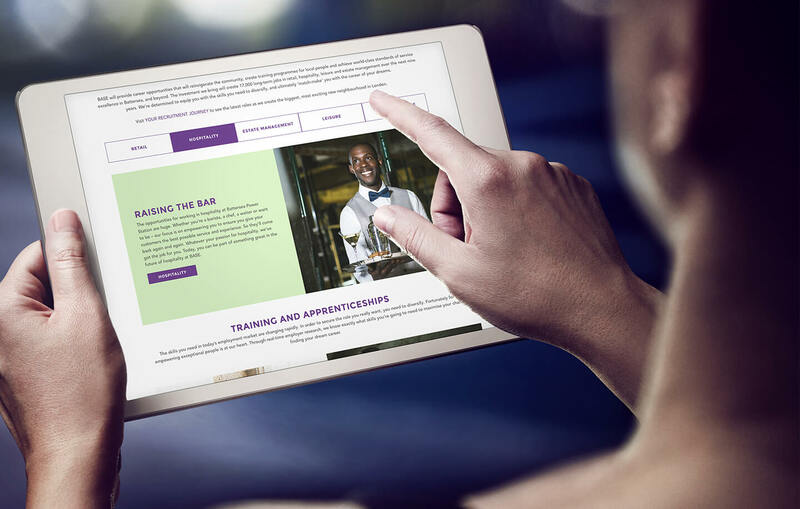 We also designed and built a fully responsive website for launch, including content creation, an integrated jobs board, twitter feed and filterable blog. The Result: Successfully positioned BASE as a global academy dedicated to Service Excellence in the face of a very fast-changing labour market. 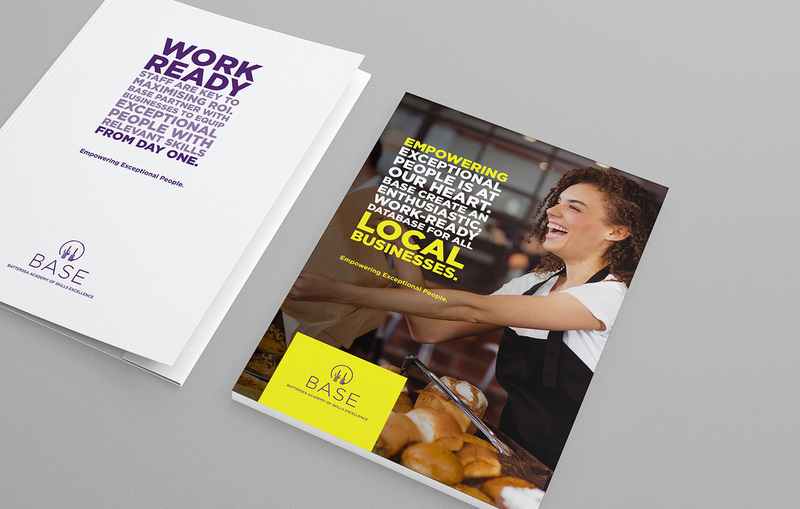 A versatile, and empathetic identity that worked seamlessly with the larger BPS brand; injecting a sense of colour and inspiration – reflective of our core proposition for BASE; ‘Empowering Exceptional People’.